Primrose Hill Community Centre has lots of exercise classes on offer, to suit all levels. If you’re feeling adventurous, why not try Aerial Pilates? Pieta Ruck Keene runs through its health benefits. Full-body work-out: While the aerial sling supports your body, it also provides an unstable surface that challenges stability and works the deep muscles that keep us upright and aligned. 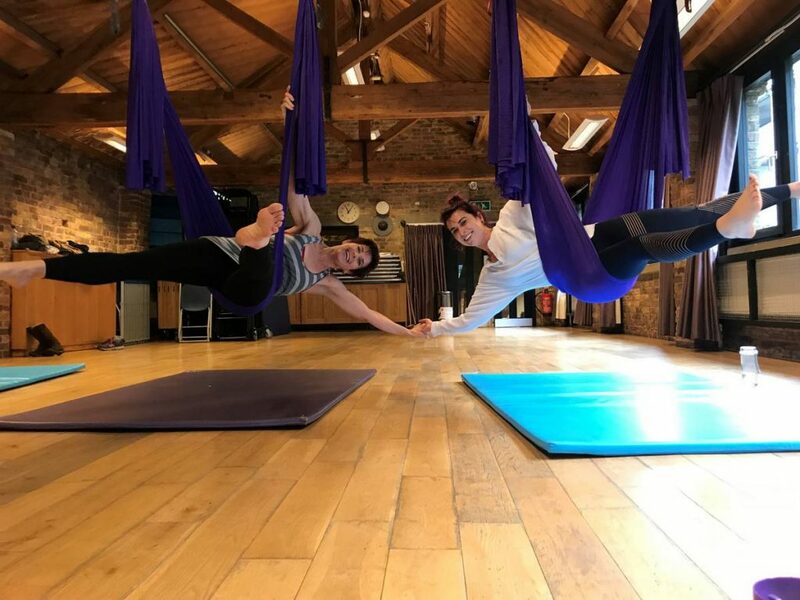 Physical and mental health focus: Aerial Pilates gives you a chance to spend an hour concentrating on movement with no head space for anything else. Each class finishes with meditation, allowing the mind to slip into a rest-and-digest mode ‒ training the brain as well as the body. Active flexibility: Gravity is taken out of the equation, letting you stretch and release your joints even when suspended just a foot off the ground. Healthy back: We move the joints in the spine in all directions, sending nourishing synovial fluid to each part of the joint. Under suspension the back also unloads from gravity and is given space and length. Core challenge: To stabilise, invert, breathe fully, flow with precision in class ‒ all put heavy demands on the cylinder of support/core. 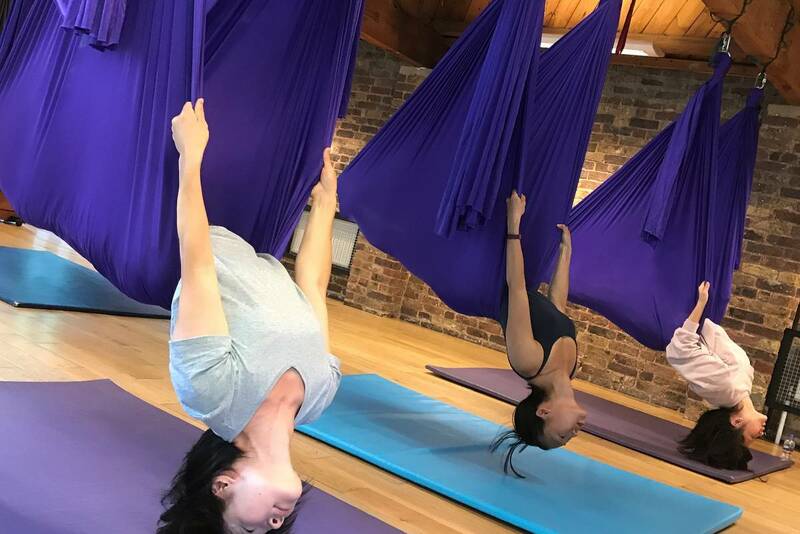 Helps you feel great: Aerial Pilates gets your heart beating faster, which tells your body to release endorphins and other mood-boosting chemicals that help you feel more energetic. Improves balance: Each class starts with standing Pilates work. We use the slings either to support us as we lift to our toes and stand on one leg, or to create perturbations that work our core stability further. Aids digestion: Exercises such as ‘stomach massage’ increase blood flow to the abdomen and pelvis. Encouraging participants to breathe fully and release abdominal tension also thwarts constipation. Immune boosting: Full-body movements encourage lymph to flow throughout the body, keeping our immune system supported. Improves mental clarity: Inverting or going upside down reverses the direction of blood flow in the body and sends more blood and oxygen to the brain.